On Saturday 8 and Sunday 9 September at the Eikon Exhibition Centre, a family fun-packed weekend of Minecraft returns to Northern Ireland for one huge show. Do you kids love Minecraft? This official Minecraft community event is perfect for you. On Saturday 8 and Sunday 9 September at the Eikon Exhibition Centre, a family fun-packed weekend of Minecraft returns to Northern Ireland for one huge show. Do you kids love Minecraft? Then this official Minecraft community event is perfect for you. 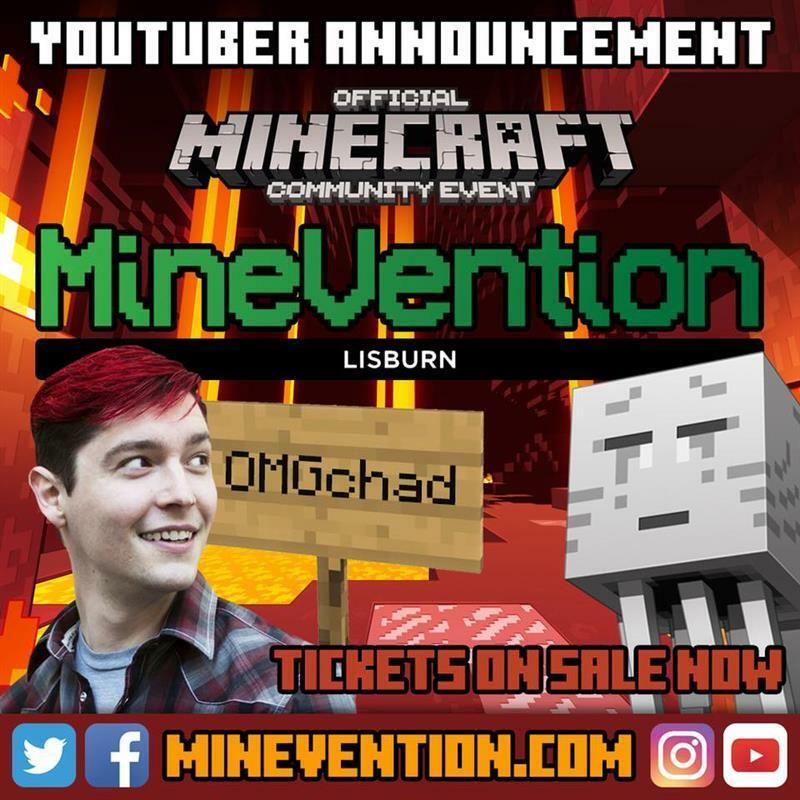 Meet world-famous YouTubers, take part in Q&A stage sessions and experience Minecraft like never before on virtual reality plus much much more…. Meet world-famous Minecraft YouTubers in the flesh, get their autograph and make sure you get a photo as well. 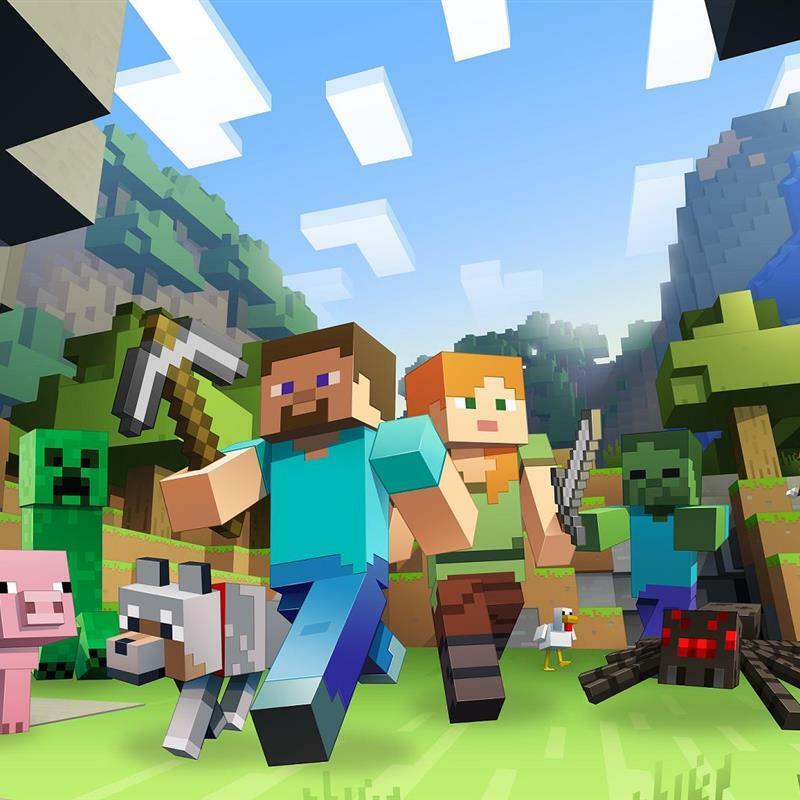 Sit down and play Minecraft on our huge network of free-play stations. Whether you prefer Creative or Survival you won’t be disappointed. Feeling competitive? Take part in our regular Minecraft tournaments and possibly win a prize, or simply watch as the YouTubers battle it out! Do you have a question you’ve always wanted to ask a YouTuber? The Q&A sessions will have you covered. Running all day on the dedicated stage, the MineVention Build Battles will satisfy the creative Minecraft fans out there! Dress up as your favourite YouTuber, Minecraft mob or animal and be in with a chance of winning some great prizes. Watch the You-Tubers on-stage taking part in some crazy challenges and maybe even take part yourself. Fancy letting your creativity flow in the Lego Zone? A huge selection of Lego bricks will give you the opportunity to make anything you can imagine! Always popular, the Virtual Reality zone will give you the chance to experience Minecraft in a whole new dimension. Sit down in the Education Zone and listen as some of Microsoft’s top Minecraft educators from around the world show you how Miniecraft has reached the classroom.